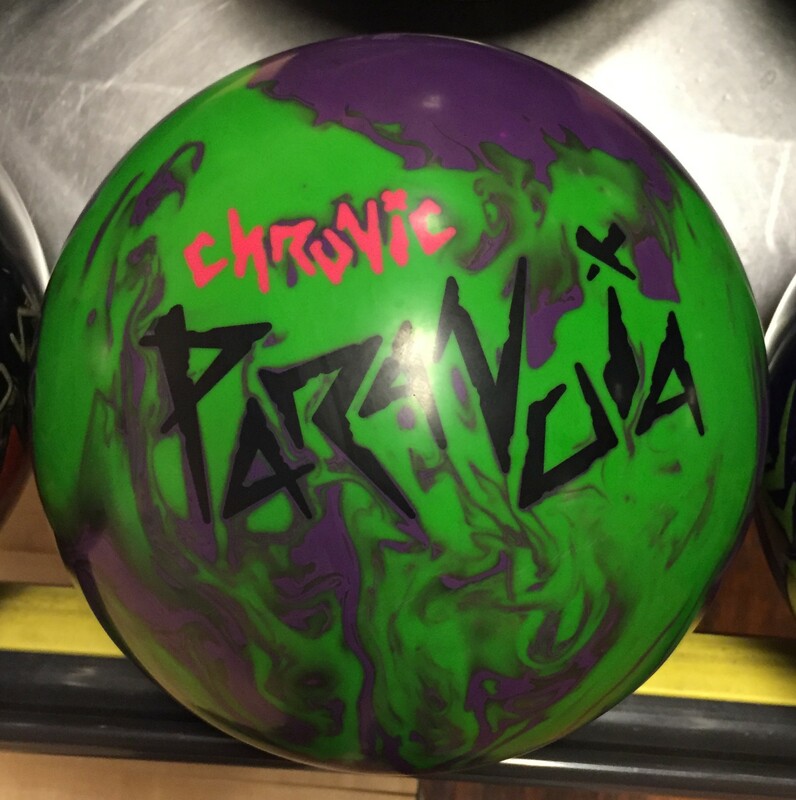 The Chronic Paranoia had a smooth controlled roll. Looks like a benchmark type ball. Predictable, predictable, predictable. The Chronic Paranoia uses the Oblivion dual density core with an RG of 2.53 with a diff of .047 wrapped in the new Agitator Solid Reactive coverstock. What’s the Motiv Chronic Paranoia about? Well Motiv was looking to fill a hole that had been left by such balls as the Sigma Sting in the middle benchmark slot. In terms of control ball motion, they succeeded to fill that hole with the Chronic Paranoia. This is the kind of benchmark ball that will give you a nice idea of which direction you need to go in terms of ball strength and reaction. The ball didn’t struggle for length and it had a very smooth transition to the hook and roll phase. It is medium-slow reacting to the dry boards. That yields an arcy ball reaction with a very predictable shape. Greg was our first tester. He again saw a predictable ball motion. He was fairly square with the ball targeting something around 12 at the arrows to 7 at the breakpoint to find the nice flush shot. The ball doesn’t store enough energy for a big looping motion. 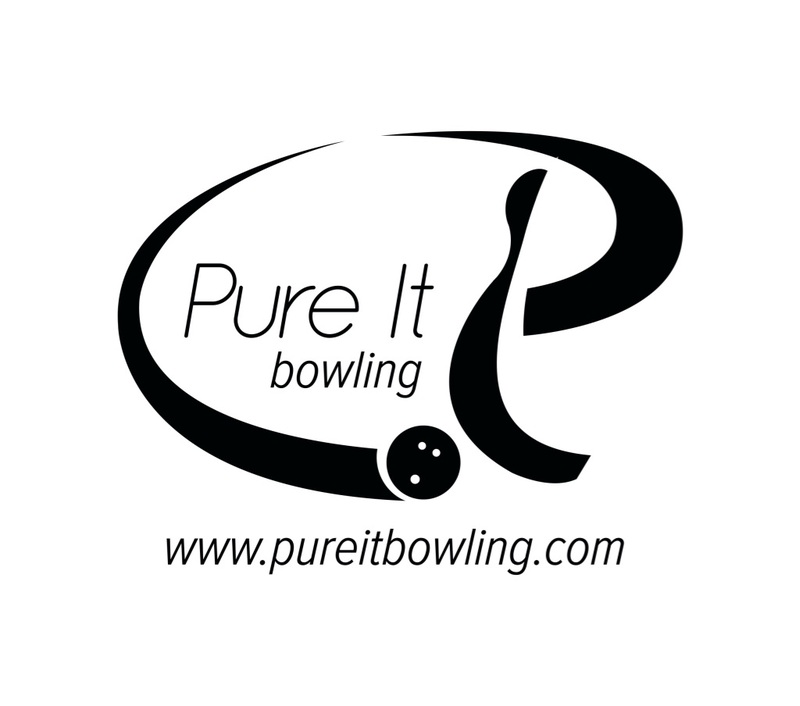 It needs to be a little more direct and then you see the nice arcing heavy roll into the pocket. Greg found missing out was not good as the ball will just not make the turn due to its smoothness. Missing in was more forgiving as it is not jumpy, far from it. When comparing to his Paranoia, he was targeting 16 to 6. So you can see that the Paranoia stores lots more energy and is more punchy downlane. 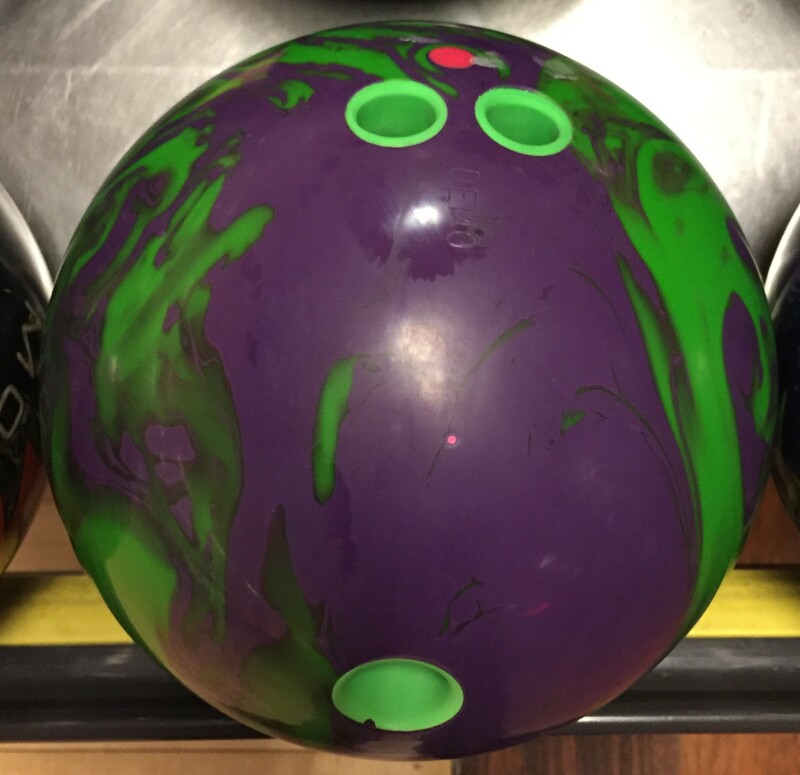 It still has the hallmark smoothness that we’ve come to know from Motiv but definitely more reactive downlane. Perhaps we are also seeing an “upside down” reaction as can be seen from time to time on house shots, meaning stronger balls covering fewer boards due to more friction up front burning up the energy. Even with that said, the delta was a little surprising. 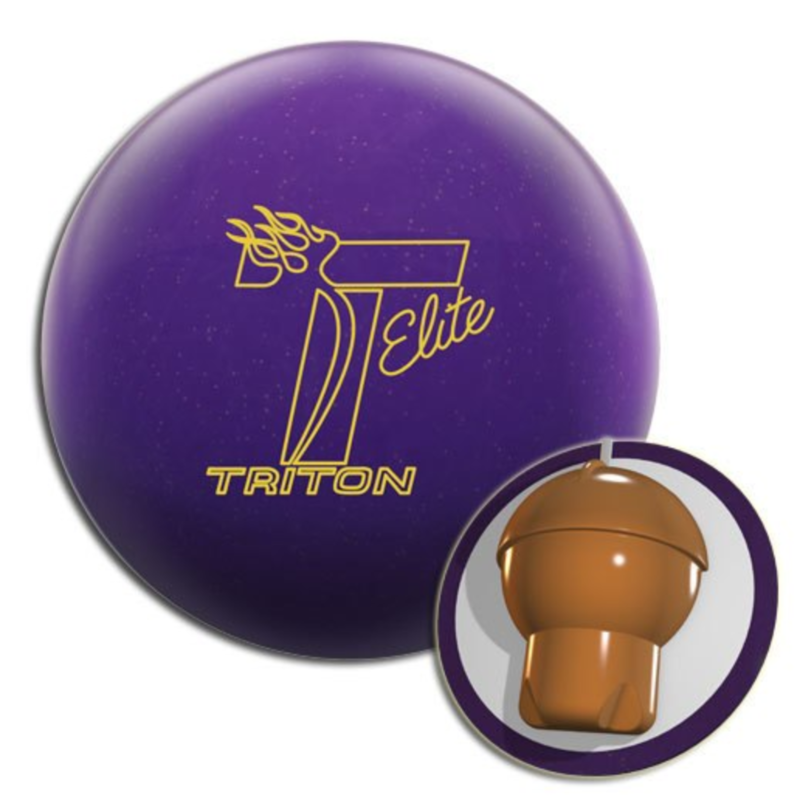 The Agitator solid has a distinctively smoother chemistry. Greg generated ~5.5 degrees of entry angle with the Chronic Paranoia as compared to about 6.5 with the Paranoia. I was the second tester. I saw a very similar motion but because I am more speed/rev matched than Greg, maybe a little on the rev dominant side at times, I saw more forgiveness in getting the ball to “hook up”. Meaning, I was able to get a little deeper than Greg and throw it even further away from the pocket. I found a shot with many different lines and angles. I could go 12 to 9, 14 to 5, and everything in between. Again, that’s what you want to see from a benchmark ball, especially when you are not zoned in and spray the lane a bit. Of course, you may not always carry from anywhere but you want a ball that will have the forgiveness to get you to the pocket more often. Comparing the Chronic Paranoia to the Sigma Sting, they got very similar length. Almost identical, but the Sigma Sting made a slightly bigger move to the pocket. That difference is likely due to the slightly different surface finishes between the two. The Sting has pearl in the cover while the Chronic is a solid. Both test balls had similar surface finish at about 4000 grit. I was able to generate between 6 and 6.5 degrees of entry angle with the Chronic and around 6.5-7 with the Sting. Here’s a nuance we noticed. The Chronic Paranoia got good length, that was never really an issue for either one of us. However, I felt that it hooked up just a tad later than I wanted for a benchmark ball. 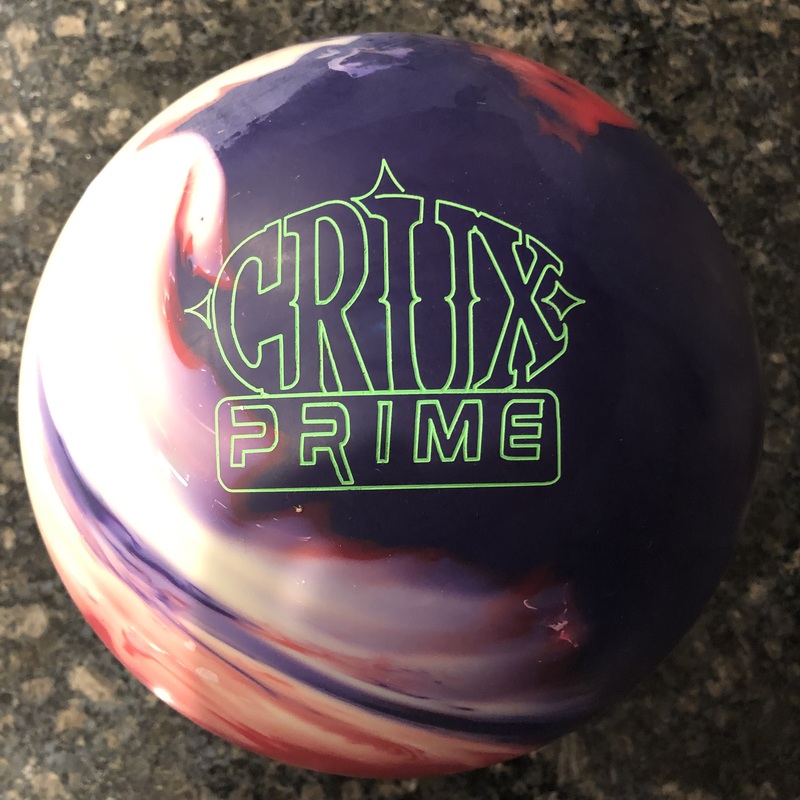 I feel like adding a little surface might make this ball start up a little sooner and give it a little more punch downlane and continuation threw the pins on this medium condition. In the extra shots, we try to give you a sense of what happens when you don’t throw the ball well or where the limits are. For Greg, as is his tendency to become a bit more speed dominant, he sees this ball blow through the breakpoint. It is too arcy to help him out. Missing in is better. For me, I can lose the ball to the outside off my hand (pitch out) or become slightly rev dominant. So I tend to see the opposite of Greg. I rarely blow through the breakpoint but the smoothness of this ball saved me from leaving big splits through the face. The ball did surprise me by carrying a huge miss to the outside. Ultimately The Motiv Chronic Paranoia looks to be a middle of the road benchmark rolly ball. 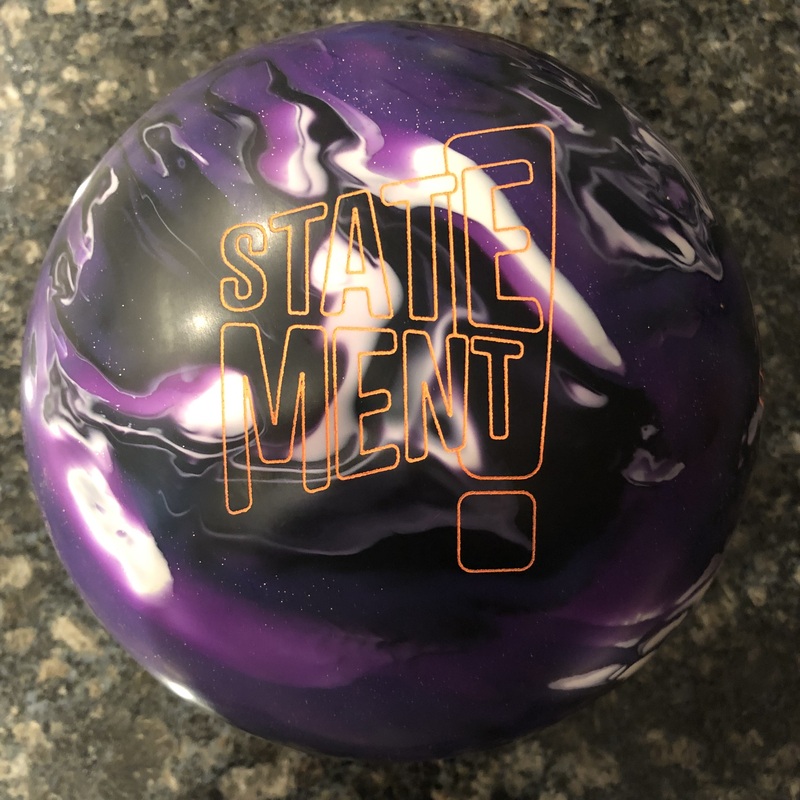 While I would have liked to see an overall slightly stronger ball and a bit more downlane motion to better balance its place in the Motiv lineup, that could be resolved by changing the surface. The solid cover has changed the motion from later downlane with the original Paranoia to much more midlane. That makes it an ultimately predictable benchmark. 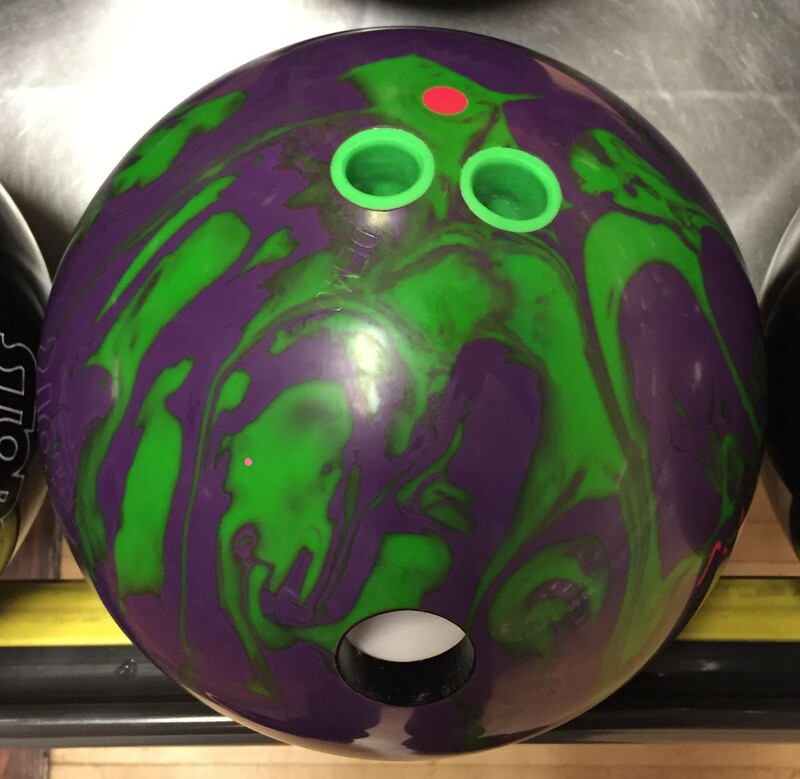 If it’s not the right ball for the moment, it definitely lets you know which direction to go.